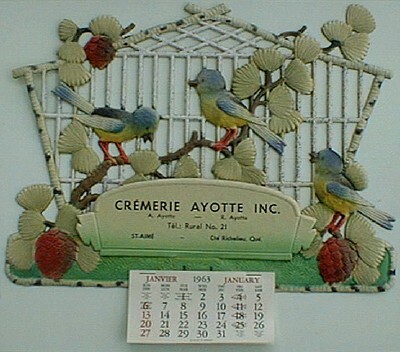 " Ayotte & Fils "
" A. et R. Ayotte Prop. " 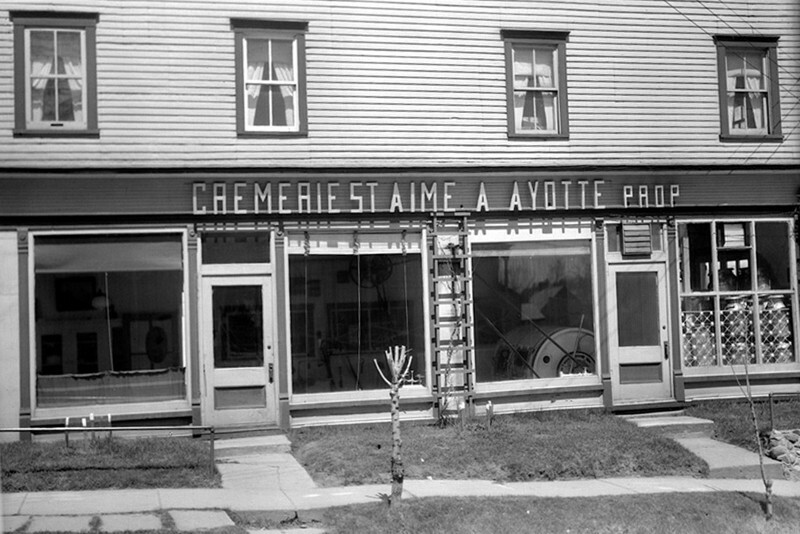 The advertising thermometer shows "Crémerie St-Aimé". 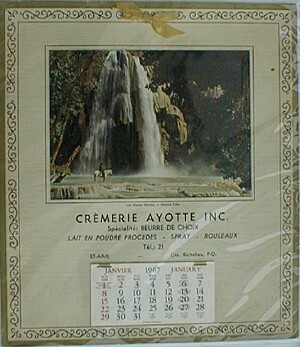 At the bottom we can read "Ayotte & Fils", phone number 21.